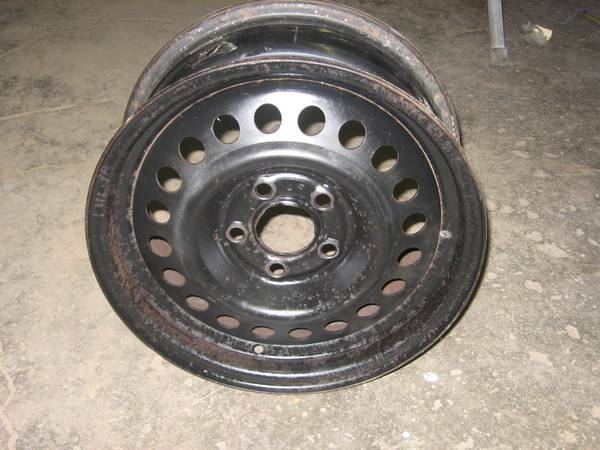 Used 14 x 6" 5 Lug 100mm factory steel wheel. $35.00 Ca$h only. No personal checks. No emails. Call 5O2-543-288O with any questions. If your reading this ad it's still for sale. Thanks! This ad is for (1) 14 X 6, 5 lug, 100mm bolt pattern.